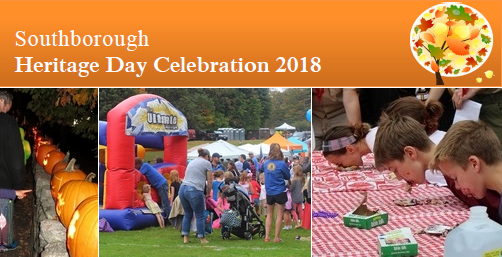 As usual, Chestnut Hill Farm will hold a special festival. Stay tuned for a separate post on the 10:00 am – 3:00 pm event. As I previously posted, that night is a 20 year old tradition, newly dubbed the Pumpkin Stroll. Drop-off decorated pumpkins 4:00 – 6:00 pm. Viewing hours are 6:00 – 8:00 pm. The big event is the day itself, with the parade and festivities. * Designated parade drop-off at corner of Walker and Upland. * Designated parade pick-up on Rt. 85 and St. Mark’s field. The 2018 All Star Cast will perform The Grunch, a story about how a 6th grader almost steals the show, literally! If your organization/booth has something special planned that day, let me know. 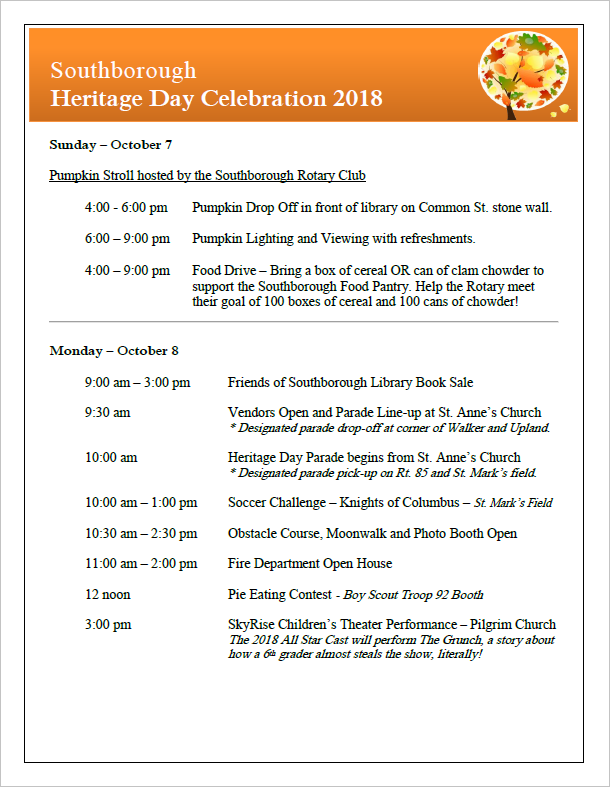 You can post a comment below or email mysouthborough@gmail.com with subject line “Heritage Day Activity”.